God bless you for all you've done. Thank you. 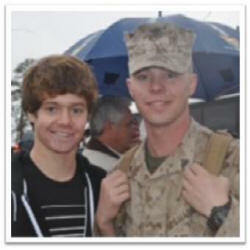 Welcome home Marine!! Thank you for serving our Country who is so proud of you for your service. Thank you for your service. The Marines are proud of you brother!